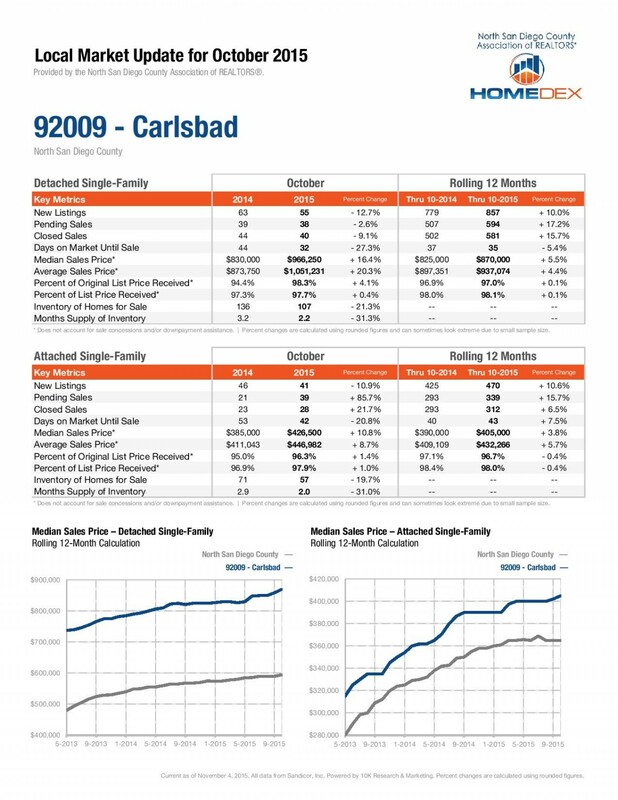 It should come as no surprise that as of November 2015 Carlsbad real estate has taken a jump over the prior year–as have most homes for sale in San Diego. Prices for both homes and condos rose substantially at year end 92009 as the number of listings, pendings and sold rose year-over-year. Are we headed to a more “normal” market? Will Janet Yellen raise interest rates next month? What effect do you think these factors might have on our Carlsbad real estate market? Most people might assume that if mortgage interest rates go up that fewer buyers will be able to qualify for one of our high-priced San Diego homes.n On the other hand, there’s a lot of pent-up demand and rents have skyrocketed in recent years. A quarter point hike probably might equate to an approximate and additional $70 increase in payments on a $500,000 30-year mortgage. That amount would obviously go down on a lower mortgage–or up on a higher one. Still, if you look at rental increases that would be a very modest increase in rent year over year. We have seen rental rates rising much more briskly than in previous years. Check out the infograph below!